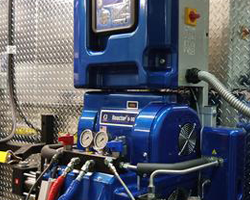 Once a quiet family-owned business, Graco Inc. has become one of the world’s premier manufacturers of fluid-handling equipment and systems. 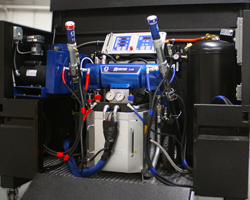 It has pioneered technology and equipment for a wide variety of fluid handling applications. All of this seems a long journey from a cold winter’s day in Minneapolis in 1926, when Russell Gray, then a parking lot attendant, figured there had to be a better way to lubricate cars than by using hand-operated grease guns. The temperature that day had dropped so low, the grease was impossible to move. To meet that need he developed a grease gun powered by air pressure. Favorable reaction from service station owners and a growing automobile market led Russell and his brother, Leil, to form a business to market Russell’s new grease gun. The result was Gray Company, Inc., which generated sales of $35,000 during its first year of operation. 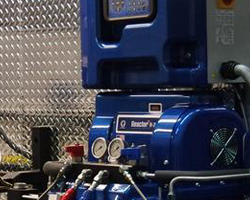 During the next two decades Russell and Leil guided the company through sustained growth, primarily with lubrication pumps for automobiles. Russell was said to be the inventive force behind the firm; Leil, as the company’s first president, provided the business acumen. By 1948 Graco found another foothold with its first paint pump, and a year later introduced a direct-from-drum pump for heavy-duty industrial fluid handling. By the mid-1950’s the Gray Company continued to be a leader in automobile servicing, and also established itself in paint spraying and finishing, food handling, cleaning, and literally hundreds of different applications areas. While still a small enterprise, sales rose to $5 million and the work force grew to 400. 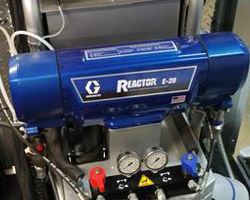 With the development of the airless spray gun in 1957, which made Gray Company a market leader in spray coating and painting, and the death of Leil Gray in 1958, the Graco of today began to take shape. Harry A. Murphy, Gray’s successor, served for four years and on his retirement David A. Koch assumed leadership of the company. Koch set out to strengthen the firm’s commitment to its constituencies, which he believed included the community in which it was based, as well as customers and employees, by aggressively expanding the corporation. 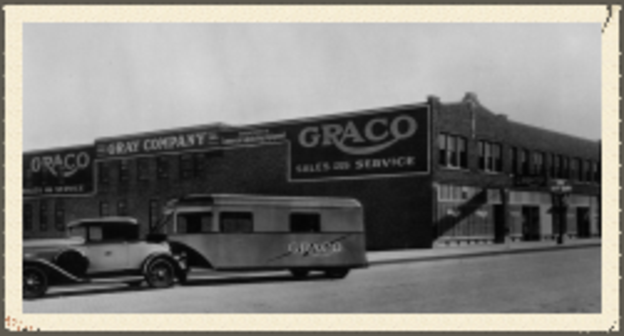 When Gray Company went public in 1969 and changed its name to Graco, sales stood at $33 million. 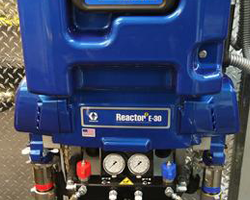 Graco reached the $50-million mark two years later, a little less than 50 years after the sale of its first grease guns. 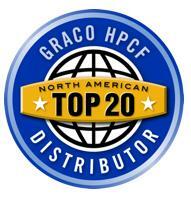 Significantly, Graco had by then acquired H.G. 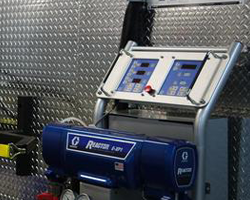 Fischer & Co., an electrostatic painting equipment manufacturer, and dramatically boosted its position in the automotive finishing industry, which was even then replacing hazardous and wasteful air-atomized painting with environmentally cleaner and more efficient electrostatic painting. Growth continued as well. By the decade’s end Graco, through solidifying its position in existing markets and entering new ones, would pass $100 million in sales. Important decisions had also been made–including the decision to make significant strategic investments in finishing technology–that would set the stage for even greater growth. 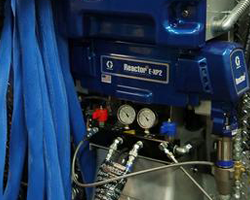 As Graco moves into the 21st century, the company defines its basic mission as “service to people through profitable growth.” Both objectives are being met as Graco has become a world leader in complete fluid handling systems and packages that move, control, deliver, dispense, and apply fluids in commercial and industrial settings. 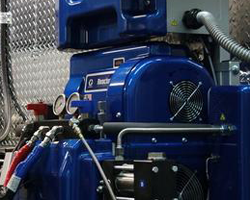 What sets Graco apart from our competitors is our history, a focus on highly-engineered, quality products, industry-leading innovation and the solid partnerships Graco forms with customer and suppliers around the world.